(*) Coach Slowinski served as the Head National Coach of Team Egypt. At the 2014 World Youth Championships, Egypt finished 25th, 39th and 51st in the Singles event, out of 260+ participants from more than 45 countries. (*) In 2014, Coach Slowinski coached Brazil at the South American Games and Pan American Sports Festival, both qualifiers for the Pan Am Games. At the Pan American Sports festival, in Mexico, Slowinski helped team Brazil women qualify for the 2015 Pan Am Games. Team Brazil was 3rd overall in women's team all events. Both representatives made the masters. 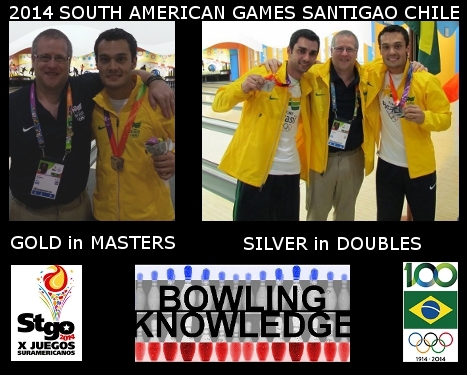 At the 2014 South American Games, in Chile, Coach Slowinski helped team Brazil men qualify for the 2015 Pan Am Games. The men won a Gold medal in singles and a Silver medal in Doubles. Both representatives made the masters. 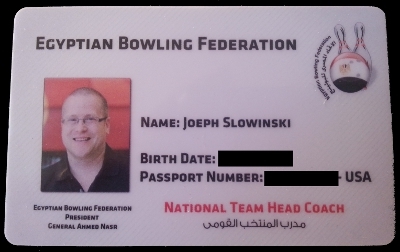 (*) Coach Slowinski visited 19 countries in 2013 working with a number of Federations around the world as well as coaching bowlers, clubs, teams, etc. in many countries. Recent assignments included the 2015 Asian Championships, 2014 Men's World Championships, 2014 World Youth Championships, 2013 World Championships, 2013 European Youth Championships and the 2012 Men's European Youth Championships. 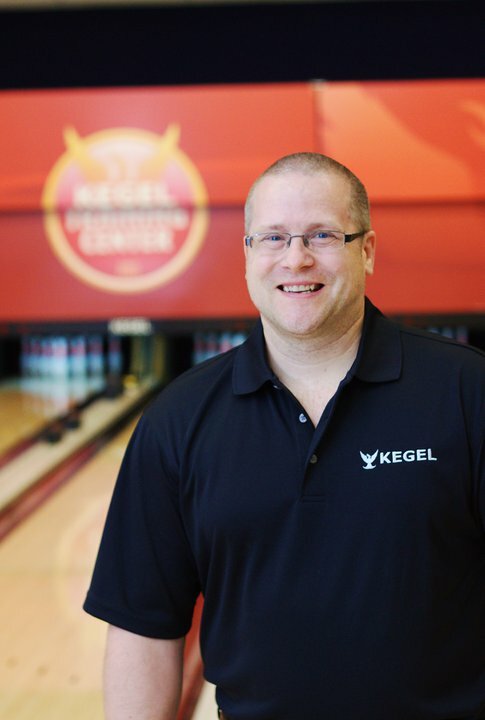 Slowinski served as a Master Teaching Professional at the Kegel Training Center from 2008 to 2012. During this time, he was the Administrative Head Coach for the Webber International University program as well as the Men's Head Coach. 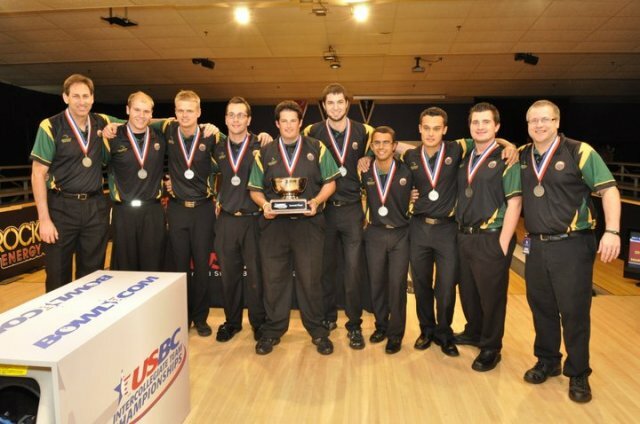 Slowinski also serves as the Head Coach of the Webber International University bowling teams. Coach Slowinski also worked with bowlers of all levels including bowlers from 6 to 85 years old, elite youth, elite college, PBA regional players and PBA touring players such as Jason Belmonte and Diandra Asbaty. Slowinski was a finalist for National Collegiate Coach of the Year for both the 2008-09 and 2009-10 as well as the 2010-11 season. 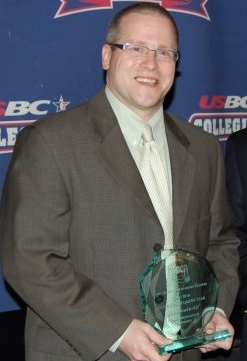 Slowinski was named the National Collegiate Bowling Coaches Association Coach of the Year in 2009-2010. He designed and implementated the training program that led the Webber International University women's team to a National Championship in their first year and the men's team to a National Championship Semi-Final in it's first season. With more than 25 years of coaching experience, Joe Slowinski, ABD, M.Ed., has served in the role of National Coach, Director of Coaching and Coach Certification and as well as the Training Coordinator for a National Youth Development Program. Malaysia is currently using his elite youth development program. He is a an expert coach and program developer skilled in developing elite national teams, facilitating youth development as well as conducting talent identification. 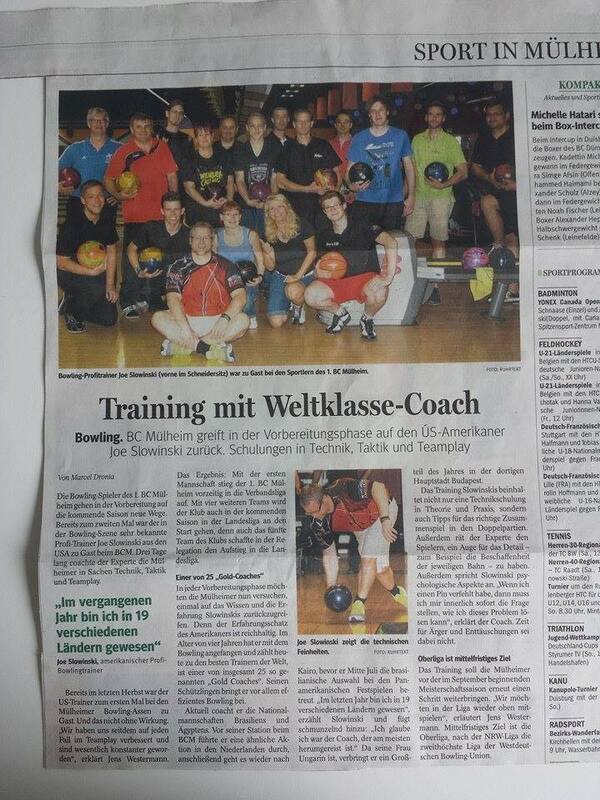 His programs are holistic in nature and include sport science as well as world-class bowling knowledge. For six consecutive years, 2005 - 2011, he has been named as on of the world's Top 100 coaches, by Bowlers Journal International. He is a contributing writer for Bowling This Month in the Slowinski-at-large column sharing his knowledge of elite bowling and coaching technique. In 2007, he facilitated the launching of a global project to improve our understanding of sport science and elite tenpin bowling performance. 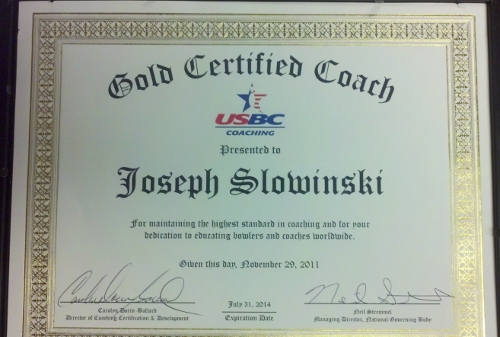 Slowinski is a United States Bowling Congress Gold-Level coach and Level I Instructor as well as an IBPSIA Certified Pro Shop Technician. He began his twenty-three year coaching career, at the age of 17 when he was certified as a YABA coach while still a junior bowler himself. Since then, he has earned four additional certifications: USA Bowling Junior Olympic I, USA Bowling Junior Olympic II, USBC Bronze and USBC Silver. He is also an active member of the Professional Bowlers Association (PBA). In 2006 - 2007, he was on assignment as the Director of Coaching and Coach Certification for the National Sports Council of Malaysia. 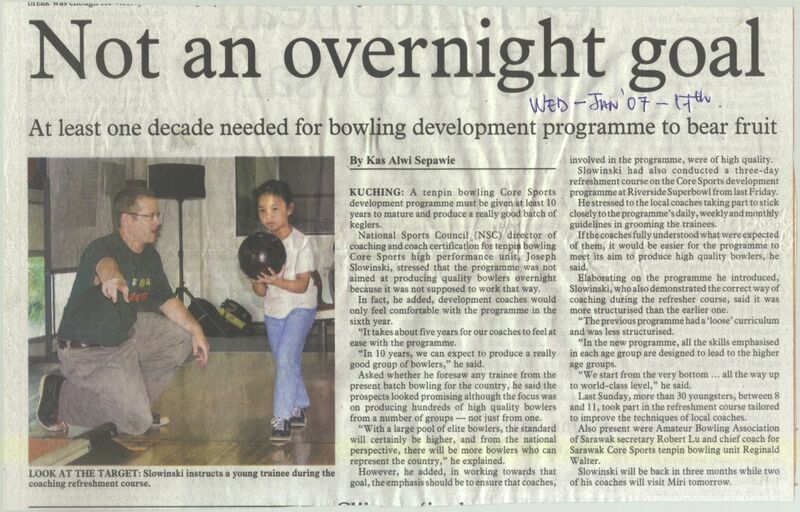 In this role, he oversaw 100 coaches and 1700+ youth bowlers in the national youth development curriculum. He has also developed and written the curriculum and training program process for the Malaysian national youth development program. 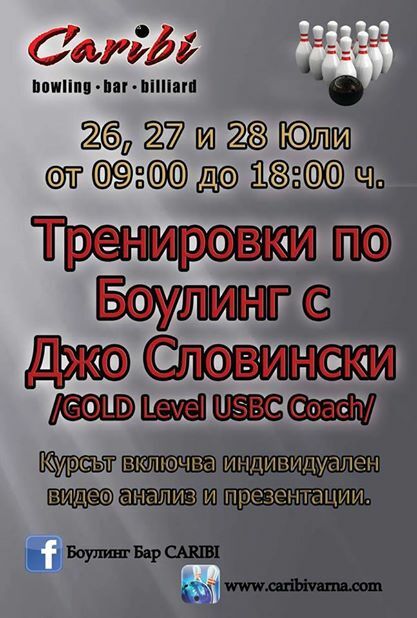 Specifically, this program consists of three levels: U12, U15, U18. In his role, he has trained nearly 500 coaches as well. Finally, he is one of the Malaysian Tenpin Bowling Congress coaches in which he trains high-performance national youth bowlers, the back-up squad to the national teams. He also oversaw the training of 9 Decentralized players on the national junior team. These players livef around the country. Slowinski developed their training program and coaches them on-site for several days each month. 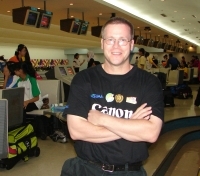 Read Exciting Times, an interview with Joe in the Aug-Sept 2006 issue of Asian Bowling Digest and Slowinski Rolls Out His Game Plan, an interview with Joe that appeared in the July 11, 2006 Malaysian Today. And, read Not An Overnight Goal, which appeared in the Borneo Post on January 2007. 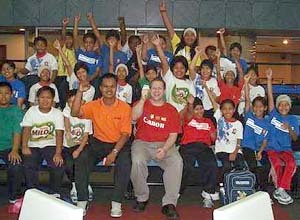 Slowinski's national evaluation for Malaysia in 2006 was also featured in Bowling Digital at http://www.bowlingdigital.com/bowling/node/13568/1. As a coach, he has developed new approaches to lane play, release, improvement analysis and training. Most importantly, Slowinski has developed an array of bowler correction techniques that allow coaches to effectively eliminate common errors in timing, swing, etc. As an educator, with 12 years of education experience, his understanding of learning theory and curriculum design has helped him design bowling instruction that maximizes individual growth. He truly is a teacher of the sport! He is also a certified lane inspector. He is a frequent contributor to Bowlers Journal and writes a monthly column for both the Asian Bowling Digest and Bowling This Month. His April 2004 Bowlers Journal article, “Filling the Coaches Pool,” earned a 3rd place prize in the 2005 Ebonite National Bowling Writers contest. Slowinski is currently working on two bowling instruction books, one for individuals and one for teams. Bowling since the age of 4, Slowinski is an accomplished bowler who has averaged 200+ for the past 20 years with a high average of 223 in mid-season. Coach Slowinski has 5 state scratch bowling titles as an adult and nine youth titles, including recognition as a Star of Tomorrow. In 1985, Joe was the Maine State Scratch All-Events champion. As an adult, he won the New Hampshire State Scratch All-Events championship and finished second in the Maine State Scratch All-Events in the same year. He is also a member of the team that holds the Maine state 5-man scratch series of 3632. In winning the 2003 Greater Portland Association team title, Slowinski and his teammates had 125 strikes in 3 games. As an 18 year-old collegiate bowler at top-ranked West Texas State University, he learned a great deal about the sport, from teammates and elite players such as 1984 World Cup and PBA champion Jack Jurek, PBA champion and coaching colleague Mark Scroggins and 2005 Masters Champion Mike Scroggins. This experience began his journey to better understand the complete game of tenpin bowling, from determinging appropriate bowling ball layouts and lane play strategies to elements of a flawless physical game and the process of visualization.